A study published today in the BMJ Open shows that in countries where there is a complete ban on all corporal punishment of children there is less fighting among young people. There was 31% less physical fighting in young men and 42% less physical fighting in young women in countries where corporal punishment was banned in all settings, compared with those where corporal punishment was permitted both at school and at home. In countries where there was a partial ban on corporal punishment (such as in Canada, the US and the UK where corporal punishment not banned in at home), the level of violence in young men was similar to that in countries with no bans, though the level of violence in women was lower (at 56%). 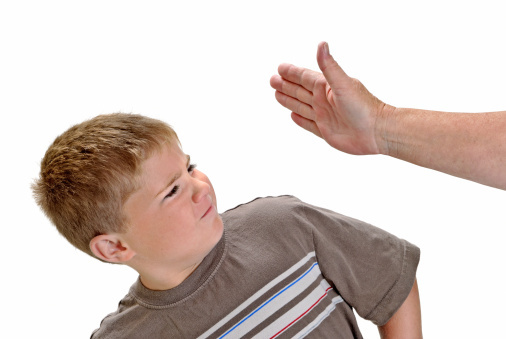 Previous studies have shown a clear relationship between childhood spanking and a host of negative outcomes later on ranging from aggression to mental health problems. In this case, however, the researchers caution that they see an association rather than a causal relationship between legal bans on corporal punishment and violence in youth. The researchers found that the associations between corporal punishment and youth violence remained, even after taking potential confounders were taken into account such as per capita income, murder rates and parent education programmes to prevent child maltreatment. The researchers used data gathered from adolescents in 88 countries around the world by the World Health Organization Health Behaviour in School Aged Children (HBSC) study and the Global School-Based Health Survey (GSHS). The youth responded to survey questions at varying ages about how often they got into fights. The researchers correlated this information with data from each country about the prohibition of corporal punishment. Countries were grouped into: those with a complete ban on the use of corporal punishment at home and in schools (30 countries, the majority of which are in Europe, as well as a smaller number in Latin America, Asia and Africa); those with a ban in schools but not in the home (38 countries, among them China, the US, UK, and Canada), and those with no ban on corporal punishment (20 countries, ranging from Myanmar to the Solomon Islands). The research was funded by the Canadian Institutes for Health Research (CIHR), the Social Sciences and Humanities Research Council (SSHRC), and the Canada Research Chairs Program.